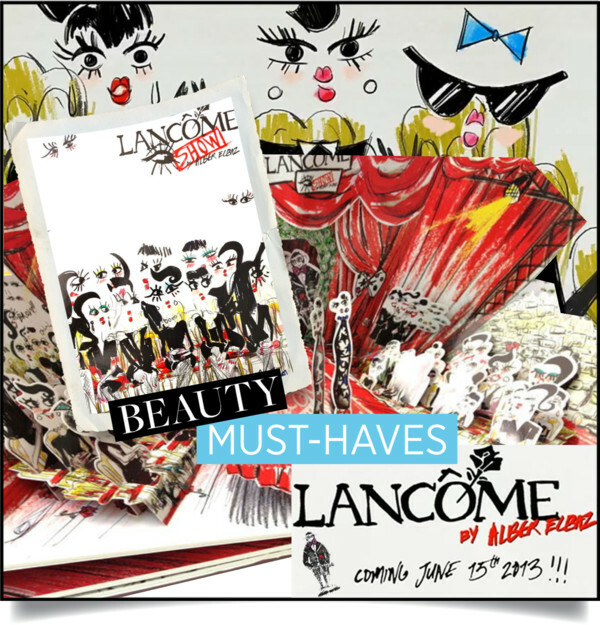 In January, I told you for the first time about the amazing collaboration between Lancôme and Alber Elbaz, followed by a post in the beginning of May when I was able to show you the limited edition make-up collection that will hit the stores on June 15, 2013. Today, the Lancôme press office sent me this uber-cute video, that is SO FASHION WEEK! You have to watch it! In the beginning of July, there will be the Hypnôse Show Party, one of the events of the year which will be held during Couture week in Paris with celebrities, socialites, trendsetters, top beauty and fashion editors. The “extravagant party” everybody wants to attend and I cannot! I am so bumped as I will be travelling for one month to China for work and pleasure. Of course, all the good things are always taking place at the same time… but I am also very excited for my time in Asia! And I hope that you are, too… as I will be keeping you posted from all the hot spots in Beijing, Shanghai, Hong Kong and many other places.